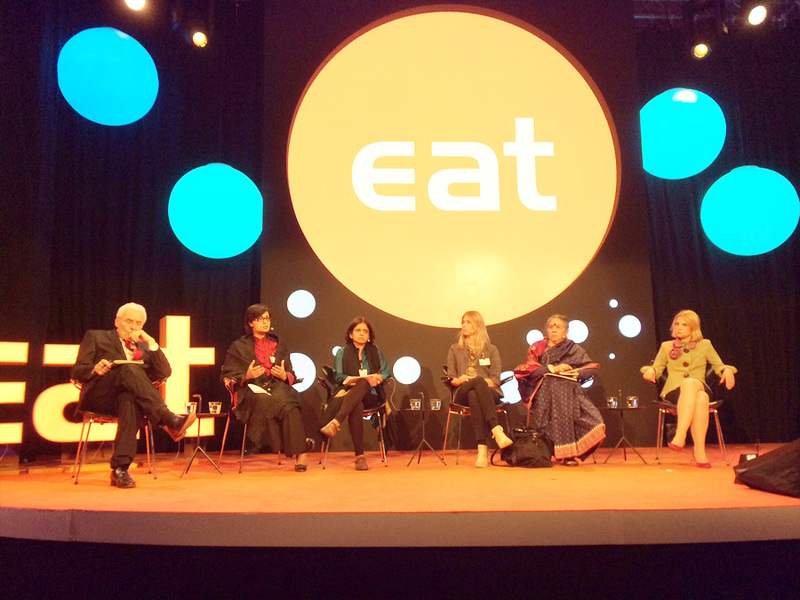 May 27, 2014: The EAT Stockholm Forum was held on 26-27 of May, 2014 with opening remarks by HRH Prince Charles and Keynote address by President Bill Clinton. First in its series of conventions, the EAT Forum presented lectures, talks and inter-disciplinary panel discussions where global leaders of science, politics and business shared and discussed challenges and opportunities in linking food, health and sustainability. In a panel, “Who are the new change makers”, moderated by Anthony Costello, our President, Dr. Sania Nishtar was joined by Sunita Narain, Helena Helmersson, Vandana Shiva and Dr. Corinna Hawkes to lead the discussions. May 26, 2014: Last week our President, Dr. Sania Nishtar participated in the Harvard Health Leaders’ Ministerial Roundtable, which was held in Geneva on May 18. The Forum convened the 2012 and 2013 alumni of the Ministerial Leadership in Health Program and hosted a facilitated discussion on the achievements and challenges of ministerial leadership in implementing health policy priorities. Sania Nishtar gave the keynote remarks after a presentation by Harvard Professor Bill Hsiao on the comparative international experiences in the implementation of Universal Health Coverage. May 20, 2014: It is with great pleasure that we refer to World Health Organization’s announcement, yesterday at the World Health Assembly in Geneva about the establishment of a new high-level Commission on Ending Childhood Obesity. Our President, Dr Sania Nishtar, has been appointed to co-Chair the new Commission along with Sir Peter Gluckman, Science Advisor to the Prime Minister of New Zealand. Among the Commissioners are global experts and distinguished opinion leaders. The Commission and its working groups will meet several times over the year and is expected to produce a report in early 2015 outlining a plan of action and accountability to address global childhood obesity. WHO’ press release on the subject can be accessed here. For further details are posted on the WHO commission website.